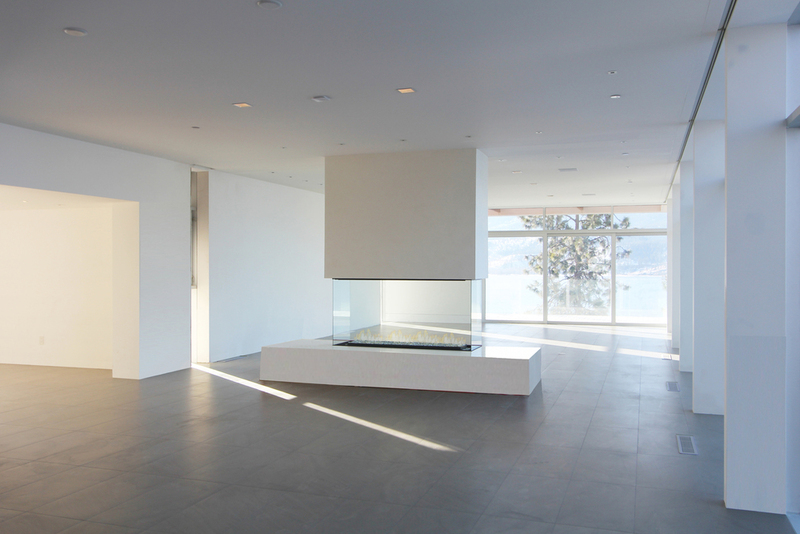 A contemporary home overlooks Lake Okanagan on the outskirts of Kelowna. to maximize natural ventilation and to shield the interior spaces from the hot summer sun. The natural materials of stone, polished stucco, and Cedar blend with the seer landscape of the valley. The 8 car parking garage is buried under the hill and the guest house perches below the entry court to minimize the impact on the landscape and views.